Backing up to a lovely green space and Buffalo Bayou, this home only had a paver patio that was in disrepair, and no shade to enjoy the beautiful views. 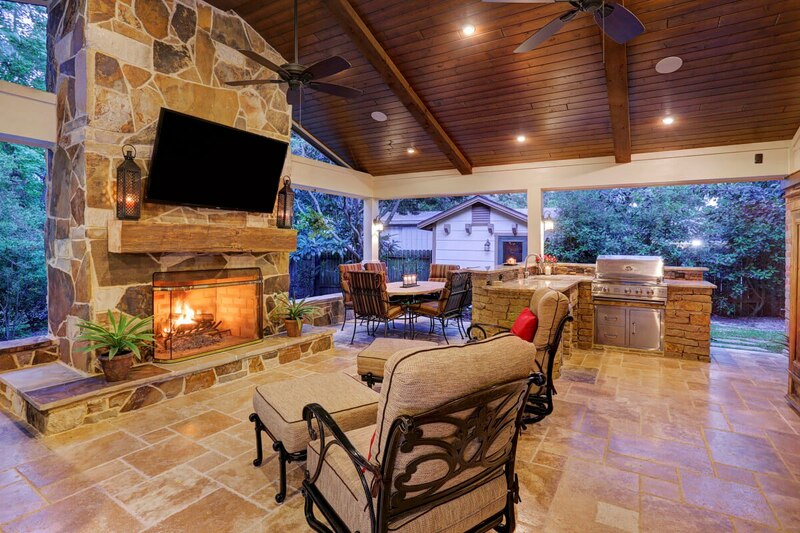 A new gable roof patio cover provides ample shade, while an outdoor fireplace, outdoor kitchen, and Travertine tile floor turn this area into a spectacular outdoor living room. The gable roof allows for this soaring vaulted ceiling that includes tongue & groove pine and cedar beam accents. The outdoor fireplace is faced with multi-color flagstone and has a stout hemlock mantle. The fireplace burns real wood and has a gas starter. 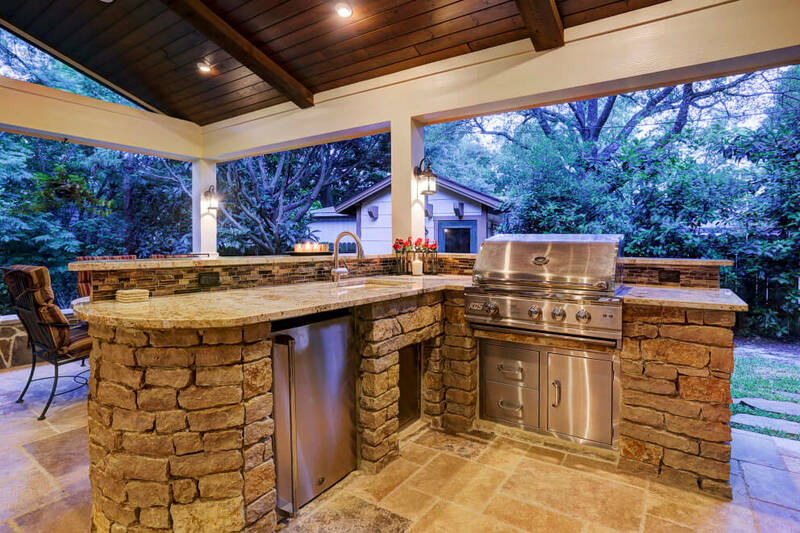 The dry-stack stone is topped with granite counters. The backsplash is a glass tile. The kitchen has a 30″ grill, refrigerator and sink, plus extra storage space. The flooring complements the different stones used on the fireplace and kitchen. The Travertine is laid in a Versailles pattern.